UPDATE: On Tuesday morning Beijing time, two U.S. B-52 bombers flew over the disputed Senkaku/Daiyou islands, "in a direct challenge" to China's new air defense zone, U.S. officials have told the Wall Street Journal. Carlyle Thayer: Yes. It’s an air defense interdiction zone that goes over sovereign territory, Japan’s Senkaku islands. 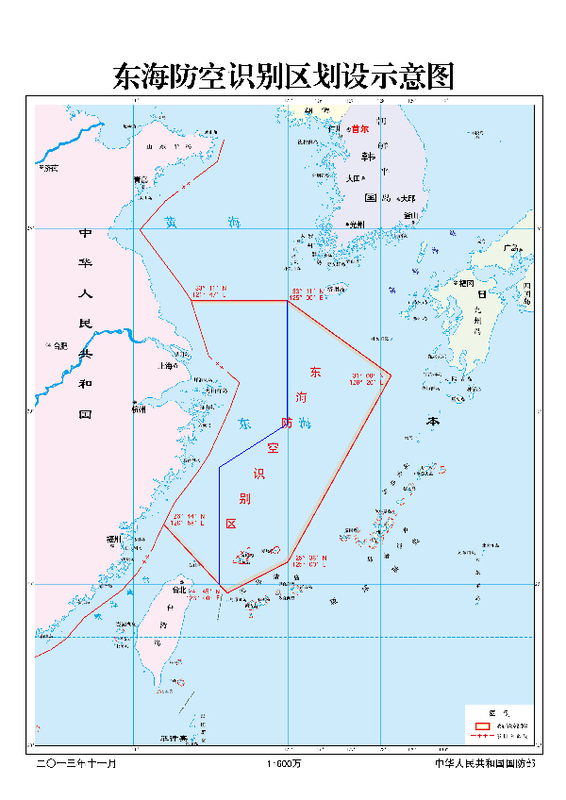 It creates huge confusions and risks and has been protested in various forms by Korea, Japan, Taiwan, and the U.S..
Don't Japan and the U.S. have their own "Air Defense Identification Zones"? Doesn’t China have a good case to make that it should also have an air defense zone? Sure, but they’re doing it on somebody else’s property. The U.S. interdiction zone applies only to planes flying into the United States. It does not apply to plans flying through the U.S. zone. How does the U.S. fit into this picture? By the U.S. coming in, it takes China’s challenge to Japan and raises the ante a bit. China is confronted. Do they really believe the U.S. statement [that America’s defense treaty with Japan covers the Senkaku islands]?